With the Aurvana Trio, Creative has gone for a musical, perhaps slightly u-shaped presentation, with a slither of warmth in an otherwise natural sounding timbre. I hesitate to call it V-shaped because unlike the F9 Pro it is not quite as strident in terms of treble forwardness or as bass heavy. Also, the Trio is not as dipped in the mids as the Kaleido nor is it quite as dark sounding. To be honest, I find it nicely balanced and quite easy to listen to, even if a little polite overall. 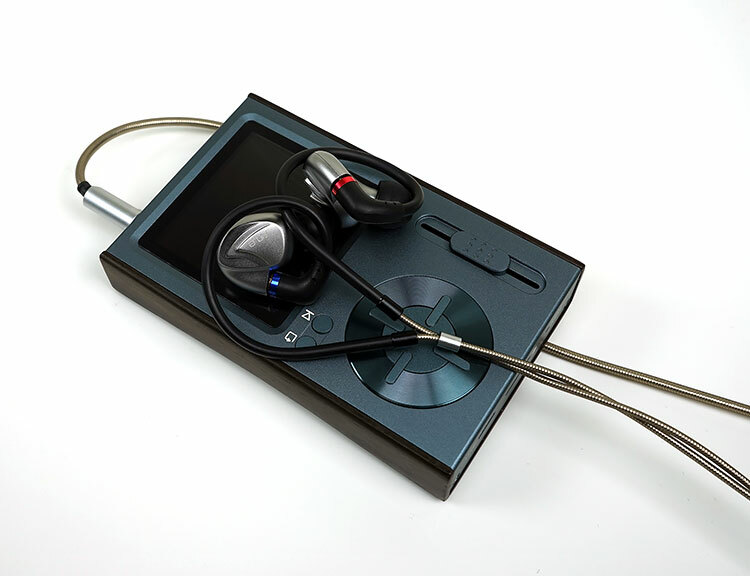 One of the more coherent hybrid IEM presentations at this price point. There is a bit of a bottleneck in the overall presentation of the Aurvana Trio due to the stock cable. To be honest I wasn’t surprised. Switching to a PW Audio “The Flash” brought significant enhancements. This is a $120 4-wire copper cable and a good one for the price. With the stock cable, the dynamic range and level of clarity were just average. Using the 4-wire copper Flash, instrumental separation, dynamics, and headroom were much superior. In particular, a slight hardness in its lower treble sounded much smoother and more refined with the better cable. I actually used the Trio cable with the F9 Pro also just to confirm and yes, the F9 Pro sounded a little limp in comparison. The Trio can and will perform better with a good cable. The Aurvana Trio’s staging has more than adequate width, fairly good depth though it falls away a little sub-100Hz in comparison to the stronger sub-bass presence of the Kaleido. It is not the most open sounding soundstage, perhaps to the intimate side. However, the accurate imaging and above average instrumental separation of the Trio makes for an immersive experience. Whilst the sparkle is a little smoothed out in that final octave I never got a feeling that the Trio lacked headroom or air. This is not a dark sounding IEM but it lacks any aggressive peaking around 5-7k and opting instead for subtle nudges at 8-10k to give it a soft but detailed upper treble extension. The Trio low-end has a slight mid-bass emphasis of around 5-6dB and a slow dive on either side of 100Hz. The sound is punchy with decent quantity and very much a dynamic driver tone with a slightly slower level of decay compared to a BA but an above average level of texture and detail. Sub-bass presence is on the politer side of things and nowhere near as powerful sounding as the Kaleido. 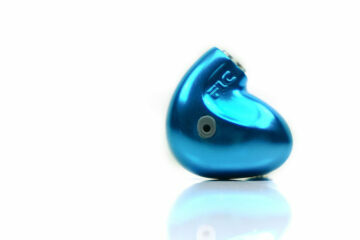 It is also a touch softer in tone than the more aggressive F9 Pro. Overall this is a tasteful low-end tuning than an aggressive or power orientated bass response. The dip beyond 100hz is nothing dramatic and still a little elevated by around 1-2dB coming into the lower mids. As a result, instrumental timbre is very natural sounding to my ears. Since the mid-bass elevation is not overcooked the lower mids instrumental timbre is clean and well separated. Nothing muddy sounding here at all. Around 1-2k you get the most subdued point in the FR of the Trio but its nothing serious. In fact, the Trio (with a good cable) is anything but veiled. Vocals, both male and female sound very nicely controlled, almost euphonic in tone but with just enough odd harmonic emphasis to keep from sounding too soft. Plenty of credit goes to Creative for getting the BA balance between clarity and over-egging it and ending up with a hardness to vocals or creeping sibilance. Upper mids to mid-treble has energy and elevation and its probably the most forward sounding aspect of the Trio signature. However, like the bass tuning, it is not overly emphasized. With the stock cable, I felt it came across as a tiny bit brittle in the percussion timbre but with the Flash cable upgrade it was very smooth and natural sounding. Creative have cleverly dropped the emphasis from 5-8k to avoid any potential harshness from the BA drivers. Instead, they have gone for a mild 8-10k elevation for sparkle and air. 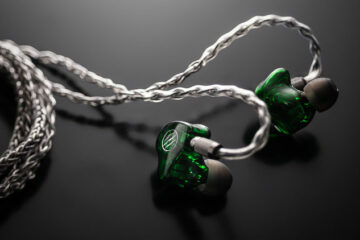 Actually, it is the most balanced treble tuning I have heard to date from these entry-level hybrid IEMs. 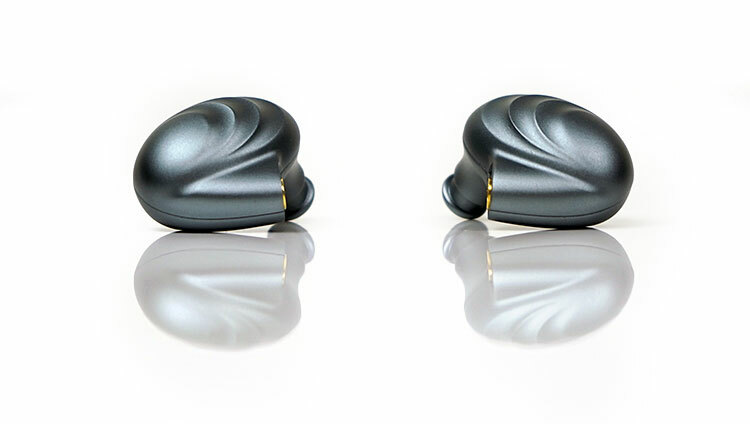 The Creative Aurvana Trio is rated at 16Ω and 103dB. Compare that to the FiiO F9 Pro at 28Ω and 106db, the Fidue A85 at 20Ω and 107dB and the Lear Kaleido at 10Ω and 109dB and you begin to see a fairly typical hybrid rating. The Trio, like the other triple hybrid driver IEMs is actually pretty easy to drive and even smartphones will give a fairly solid performance. However, as with the other hybrids, the Trio does require a little more gain or volume compared to more efficient all-BA designs. A good example is the LG G6. Multi-BA designs will sit around 35-40 out of 80 digital steps on the G6 whereas the Trio will go right up to almost 55-60 out of 80 steps. Comparing the same hybrid IEMs out of a modestly powered source such as the HiBy Music R3 there was next to no volume adjustment required between all four. I would say very marginally louder than the F9 Pro, slightly quieter than the Kaleido and about the same as the A85. AT most you are talking 1 digital step either way in terms of volume. Noise performance on the Trio is very good. It sounds completely quiet on DAPs such as the X3iii and amps such as the ALO Audio V5. FiiO’s higher noise floor amp cards for the X7 such as the AM3 are all very quiet. If you happen to be using a balanced cable option then again its impressively quiet. I got a very low noise floor on the balanced outputs of the X3iii and Q4 from FiiO and the AMP 1 and AMP 6 cards for the DX series from iBasso. Other DAPs such as the Cayin i5 is very quiet also and none of the sources mentioned require anything more than low gain to get suitably loud enough. As before volume levels will be somewhat higher due to the 106dB rating, up to 15-20 steps higher than all-BA design but very similar levels to other hybrids such as the iBasso IT03. For impedance skew in DAPs such as the HiBy R6 and the Shanling M2s which have high output impedance ratings, the Tio is largely unaffected. Testing with an IEMatch 2.5mm and 3.5mm on both HiBy R6 outputs delivered almost identical performances. If there is a skew I suspect you will have to measure the Trio to detect where and by how much it is that marginal. 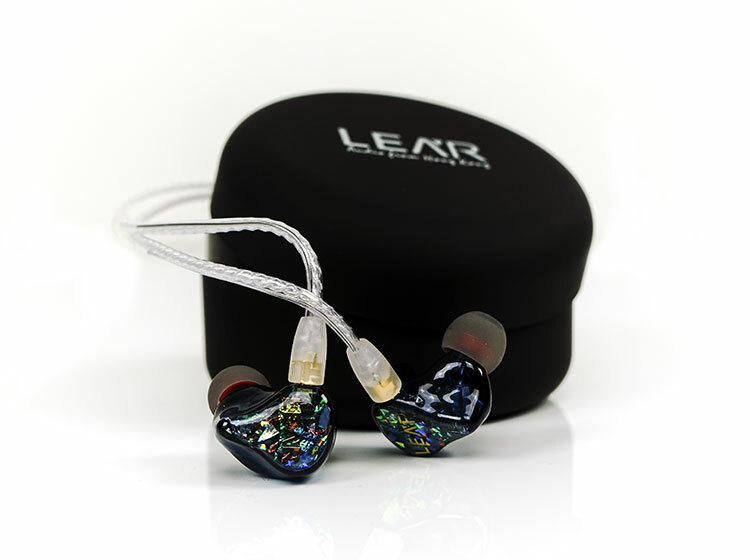 The Kaleido is also a hybrid single dynamic and dual BA IEM but you can get this in custom and universal format. Even in a universal format, it has a semi-custom shell for improved fitting and it works rather well, perhaps more so than the Trio. The Trio design is optimal for wearing straight down but suffers from microphonics that way. Over the ear will work but it is not as easy to work with as the Kaleido. The finish of the Kaleido is more unique but the Trio’s aluminum shell is more robust. Both are detachable MMCX with the new SPC wire of the Kaleido being the better performer sonically and the PVC jacket being just as pliant and easy to work with. The Kaleido is darker and not as open sounding as the Trio. It has less headroom and not as airy but on the flipside, the low-end is more powerful with more sub-bass presence. Mids are the big differentiator with the Kaleido sounding warmer, thicker but also more recessed and not as spacious sounding. Staging is a touch narrower on the Kaleido also though it does have the better depth between the two. Overall, if you want power than the Kaleido will tick the right boxes but if you want something more balanced sounding then the Trio works better. The Virgo is a mid-fi single dynamic and dual BA offering. It costs a lot more than the Trio and when measuring all three and comparing I felt the A85 came across as slightly overpriced for what it can offer. True you get a lot more tips, accessories etc but when it comes down to sound, the difference is almost preference based rather than pure technical merit. The A85 is more F9 Pro in shape with a similar jellybean style and contoured front plate. Both the Trio and A85 use MMCX connections and I do rate the A85 cable as more competent sonically than the Trio cable. Comfort and fit are on the same level as the F9 Pro and delivers a slightly easier fit though the seal is not as good as the F9 Pro or the Trio. The best sealing out of the 3 compared was the Kaleido. The more I compare these new hybrids the more I am inclined to reduce the A85 score given its lofty price point. The A85 at times just sounds so unique, so unusual that you almost begin to wonder if it is too polarizing to recommend to anyone but vocal lovers. In comparison to the Trio, the A85 is a pronounced N-shaped response curve with far less low-end presence and treble reach. Vocals are further forward with instrumental sitting right behind making this a far more intimate and less spacious sounding presentation. The timbre is similarly neutral to natural and it has a very smooth and easy to enjoy tone, much easier than the older F9 from Fiio and more forgiving if slightly less impactful than the F9 Pro. Treble is laid back and not as airy as the Trio’s top-end performance. That is not to say it has no treble,it is actually not that bad, just rolls off a little earlier. 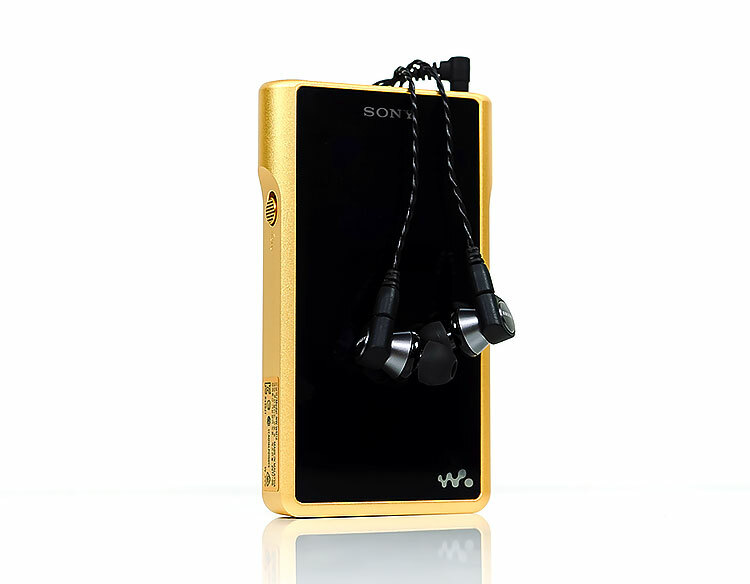 The Trio has a bit more sparkle and definitely the more open of the two though neither are as aggressive as the FiiO hybrids. 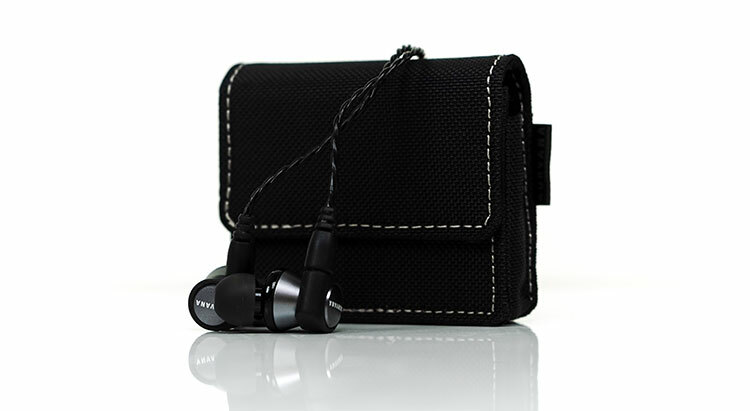 The A85, much like the F9 Pro from FiiO is an aluminum jellybean type shell being both wide and shallow. As mentioned on page 1, the Trio is really in the same vein as the F5 in terms of form factor with a similar fit and seal performance. I find the F9 Pro to be just a little more comfortable than the Trio for fitting and its natural over the ear design makes it a little less awkward. The seal on both is quite similar though with silicone tips. The F9 Pro has a wider tip selection that you can play around with but on the core silicone or foam tips, the results are similar for both IEMs. Both are hybrid single DD and dual BA though the bio-cellulose driver of the Trio is slightly bigger at 10mm over the FiiO 9mm version. The inclusion of a balanced cable with the F9 Pro is also a nice bonus. The F9 Pro is more V-shaped than the Trio with just a little more depth and impact on the low-end and a more forward sparkling treble response. Mids on the F9 Pro are more dipped and recessed but they are not veiled sounding like the Kaleido. Trio’s mids are however better balanced and slightly further forward sounding. Instrumental timbre is a little on the lean side on the F9 Pro in comparison with a cooler timbre. The Trio has a bit more warmth and body to its instrumental timbre. Both are airy sounding with the F9 Pro perhaps showing a little more headroom and extension. However, its treble can sound a bit edgier with more odd-harmonic presence which can slip in a bit more sibilance than the Trio. The Creative Aurvana Trio is perhaps the most coherent sounding entry level hybrid IEM I have heard to date. I am expecting more of these to hit the market though so I suspect this is a continuing story. The studied approach to creating an easy going sound without loss of detail and just the right harmonic balance, particularly in the treble response is excellent. Whereas the F9 Pro I thought was miles better than the F9, it still sounds peakish compared to the Trio. The Kaleido sounds very veiled and dipped in comparison, even if the sub-bass power is better. There is such a thing as balance and the Trio has it. There are some nitpicks and that is the cable and the fitting. The straight down design adds a lot of noise on the wire. Wearing it over the ear is much better but awkward. The stock cable is nothing to write home about. Upgrading will bring out the full potential but will, of course, add to the cost. P.S. some more tips would be nice also. 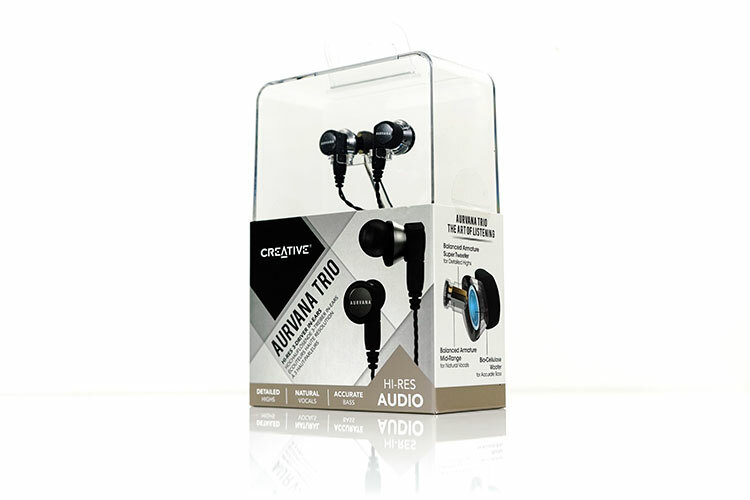 At $149.99 I can have no complaints on what Creative have done here performance wise with the Aurvana Trio. A very pleasant listen indeed. Hifiman HE1000se and HE6se Launched!